Just a few weeks ago I was watching Breaking Bad - easily one of the best dramas on TV today - when something very unusual but very familiar caught my eye. 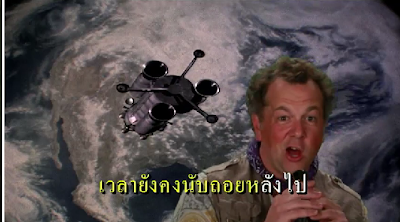 Not to give away any spoilers, a side plot involved viewing a karaoke-style video one of the characters had made to the tune of Peter Schilling's Major Tom. 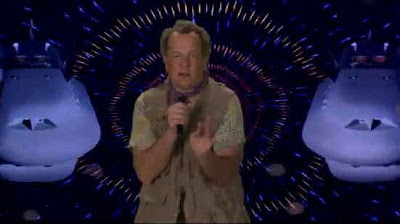 Behind him ran mostly space themed stock footage. And, unmistakably, footage of the space ship from Quark. but because I had recently commissioned this model of it online, and had sent the manufacturer every angle of the ship I could find on the show. They built it with the garbage collecting door open, and the trash bag collecting arms extended. Once you're commissioning models, I think you have to admit to a certain obsession with a show - or at least, in this case, an obsession with collecting everything possible on the program. 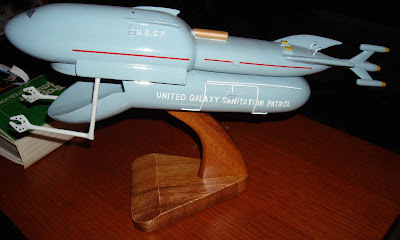 With this model, plus all the scripts (except one) and dozens of press stills and more, I think I can safely literally say what I once joked: I almost certainly have the largest collection of Quark stuff assembled. The music video also included footage from a show even more obscure than Quark, if only because it was never released on DVD. 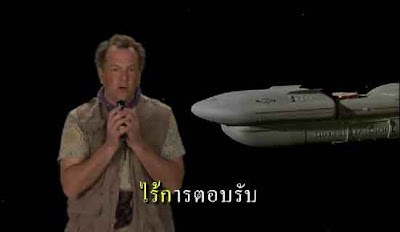 That odd 3-engined rocket is Salvage One, the ship from the Andy Griffith show by the same name. 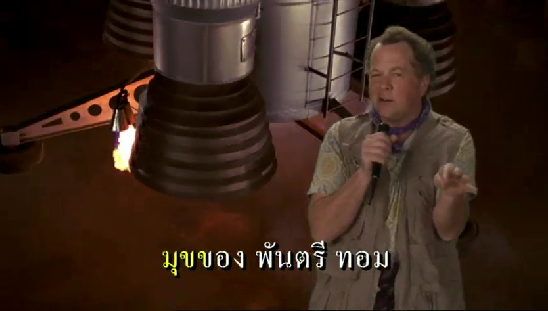 Griffith played an ex-astronaut who used NASA surplus to make his own rocket to go to the moon and salvage everything NASA had left behind, plus bring back his own moon rocks too. I don't remember much about the show, but I remember enjoying it. A bit of trivia: Quark may be about the only science fiction show that never named it's spaceship - all the scripts only call it "Quark's ship." I'm writing this up just as the season 5 premiere of "The Big Bang Theory" is recording on my DVR upstairs. Thinking back to the start, it's a tribute to the cast and crew that the show was 1) created in the first place, and 2) good enough to last this long. 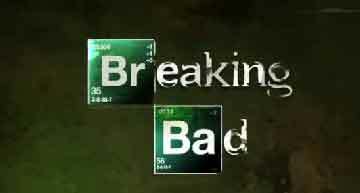 (Also notable, it garnered what I believe is still the best syndication deal ever for a TV show. I've been collecting stuff from the program since the beginning, and it's worth noting that without the San Diego Comic Con, there'd be a heck of a lot less stuff out there to collect. Probably the prize of my collection is the set of posters from each season, signed by the cast at Comic Con. These are all framed similarly and hanging near each other in the living room. Above is the latest, which for the first time is illustrated: a super-hero version of the whole cast. 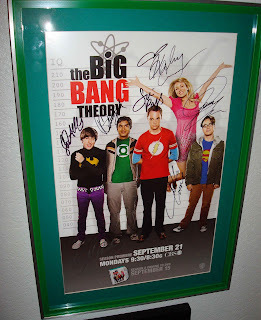 This one includes seven signatures, including both Mayim Bialik (Amy) and Melissa Rauch (Bernadette). Last year's poster featured the cast in a tribute to, um... the Beatles? Barbarella? Casino? I feel like there's a specific pop culture reference being made here that's eluding me. (If you know, please fill me in). In any case, they look cool. 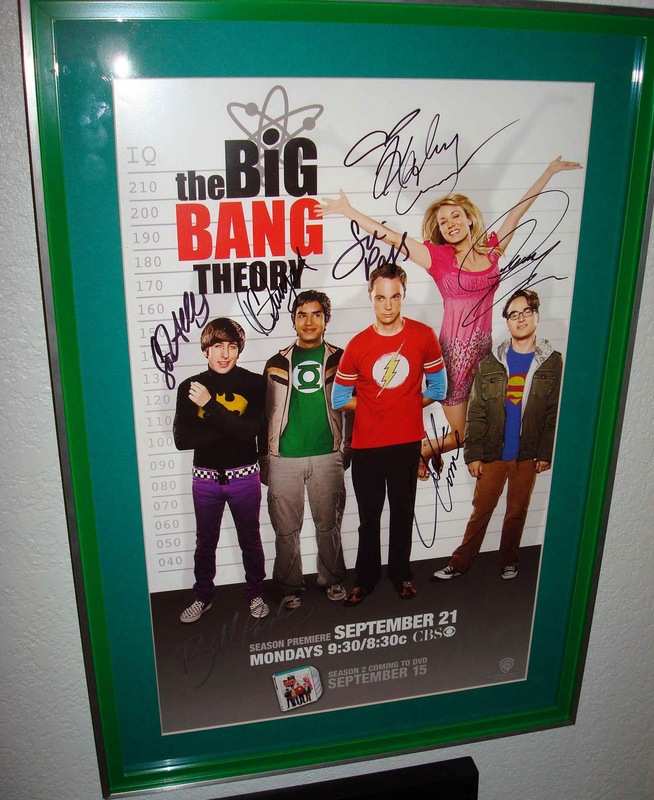 Signed by the 5 cast members. Season two's art featured a "Usual Suspects" style line up, equating each character's height with their relative IQ - and Penny breaking the rank to come out on top. Five signatures. 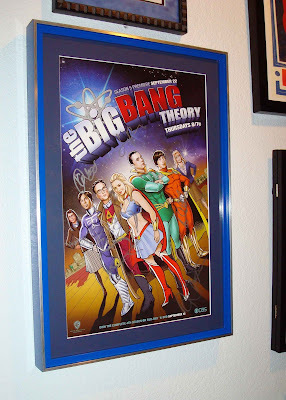 Finally, the first year's art features Sheldon and Leonard in their Flash costumes, with the rest of the cast represented in small photos at the bottom. 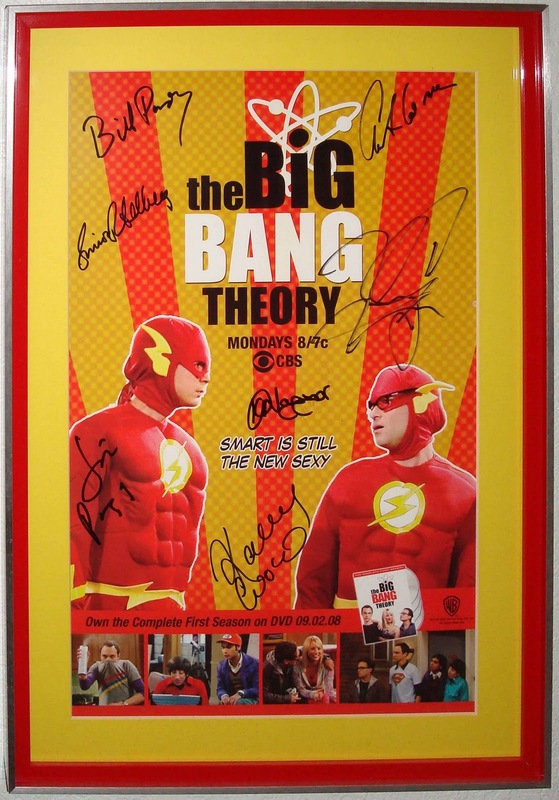 This one is notable because it's not only signed by the 5 cast members, but also producers Chuck Lorre and Bill Prady. I'm not sure how many of these they sign each year - maybe 100 at most? But I'm guessing the first is the rarest simply because they had no idea what to expect at the Con. 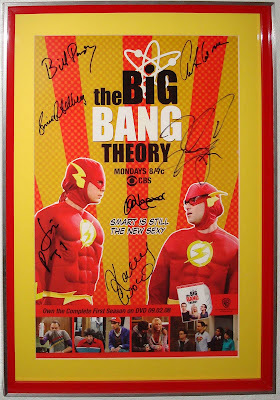 According to Johnny Galecki at their second Con, it was the overwhelming response at the previous show that first showed them how big the show was catching on.